If your radiator has cold spots, then there’s likely to be air trapped inside – so you may need to bleed it. Trapped air will cause your radiator to have cold spots, reducing the efficiency of it. 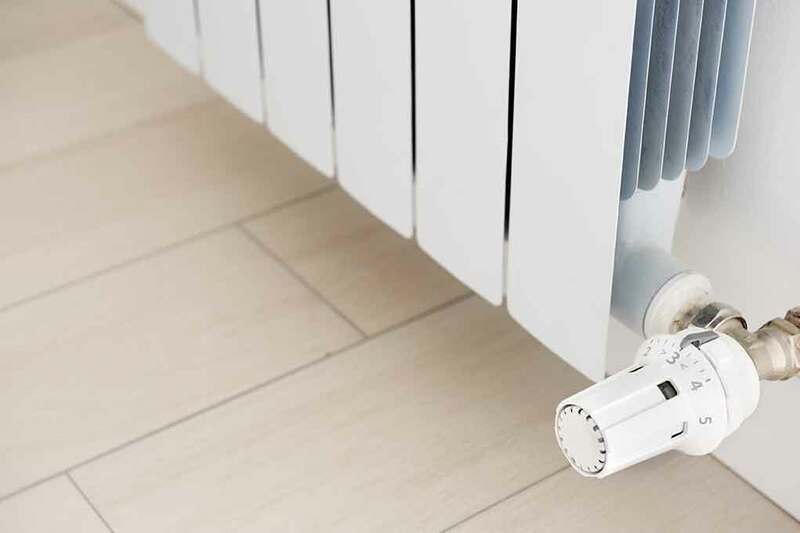 You can bleed a radiator yourself, and it can vastly improve the efficiency of your entire heating system. Keep the key on the valve, and once the hissing stops and the first dribble of water appears, close the valve tightly. We’d recommend having a bucket handy to catch spurting water in case you open the valve too far. If no water or air comes out when you bleed the radiator, then the valve could be blocked with paint. Close the inlet and outlet valve at each end of the radiator, then remove the screw from the center of the bleed valve. Clear the hole with a piece of wire, and reopen one of the radiator valves slightly to eject some water from the hole. Close the radiator valve again and refit the screw in the bleed valve. Open both radiator valves and test the bleed valve again.